Golf fans are being given a chance to see European Tour stars in action for free after organisers of the Rocco Forte Open–Verdura announced that spectators will receive complimentary admission to the tournament this spring. 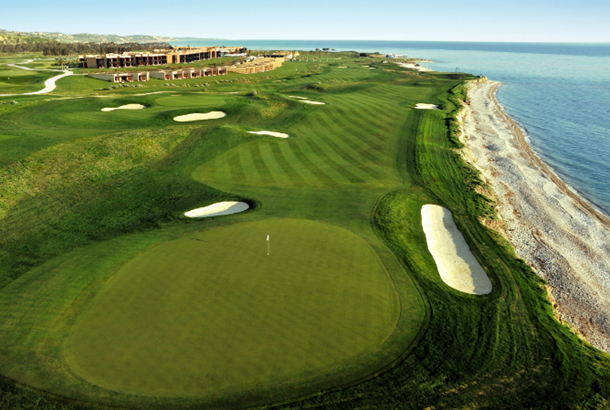 The event, which will take place from May 18-21, will be the first time in five years that Sicily and the exclusive Verdura Resort has hosted the Tour, and visitors will receive free admission on all four days of the tournament as well as each practice day. Taking place a week before the BMW PGA Championship, the tournament is set to feature some of Europe’s best players as they put the finishing touches to their preparations for the European Tour’s flagship event. Leading the Italian challenge will be former European Ryder Cup star Edoardo Molinari, Nino Bertasio, Renato Paratore and Matteo Manassero, the 2011 BMW PGA champion and the youngest player ever to win on the European Tour. The Rocco Forte Open – Verdura will be staged on one of the most spectacularly scenic courses on the 2017 European Tour calendar, with a composite layout combining the finest holes from the venue’s two award-winning 18-hole championship courses, the East and West courses. Measuring 7,217 yards, the par-71 layout will comprise of nine holes each from the two Kyle Phillips-designed courses with the final six holes running adjacent to the coast and set against the magnificent backdrop of the Mediterranean. In addition to free entry, fans have the opportunity to take advantage of a range of exciting tournament experiences and VIP packages to mark the occasion, including the chance to play in the pro-am. Complementing Verdura Resort’s outstanding courses are extensive golf practice facilities including a double-ended driving range and outstanding academy. In addition, guests can enjoy numerous other sports and leisure amenities including six tennis courts, an array of different watersports, a 170sqm fully-equipped gym and an award-winning 4,000sqm spa complex. Situated on Sicily’s southern coast between Agrigento and the fishing city of Sciacca, an 80-minute drive from Trapani and Palermo airports, Verdura Resort features 203 rooms and suites, all with a sea view.